What Is ZTEM Seeing over These Tropical Porphyry Deposits? By Chris Wijns - First Quantum Minerals Ltd., Jean Legault - Geotech Ltd. Client First Quantum Minerals Ltd.
For a PDF of this paper click here. A ZTEM survey over the Cobre Panama mine lease, which highlights the known porphyry copper deposits in the cluster, is credited with the discovery of a sixth deposit that has been included in the mine plan. The source of the ZTEM response is within the fresh rock below weathered saprolite and extends to a depth of many hundreds of metres, as does the orebody. The response is at least partly due to the sulphide content of the orebody, both pyrite and chalcopyrite. However, the sulphide percentage of all the deposits is quite low, to a maximum of 3% in significant volume. A shallow airborne TEM survey also detects a near-surface, fresh rock signature associated with the ZTEM response of each deposit. Thus the TEM response should probably be attributed in part to the associated alteration, mainly sericitic, and this will contribute to the intensity of the ZTEM signature as well. Inversion modelling in 2D and 3D indicates the ZTEM is detecting deeper parts of the orebodies, with the correct gross geometries, including the main sulphide mineralisation. These conclusions are supported by analysis of multiple deposits in the cluster. Key words: ZTEM, porphyry exploration, 3D inversion, regolith. The Z-Axis Tipper Electromagnetic (ZTEM) method has been used over numerous porphyry projects since this airborne system became commercially available, but has hardly ever been publicly demonstrated to have led to discoveries of economically mineralised systems. Inmet Mining Corporation’s 2010 discovery of the Balboa deposit in Panama was a direct result of the ZTEM survey flown in that year. Balboa is the sixth deposit discovered in a cluster of Cu-Au-Mo porphyry deposits, collectively called the Cobre Panama project in central Panama (Figure 1), that have been explored and progressively delineated since the 1960s. The deposits are currently being developed into a mine by First Quantum Minerals Ltd. The ZTEM discovery story has been told already (e.g., Burge, 2014; Legault et al., 2016) but here the results are viewed in the context of other geophysical and geochemical data to unambiguously determine the source(s) of the ZTEM response, and in particular to satisfy the scepticism of the first author in relation to potential near-surface conductivity dominance. 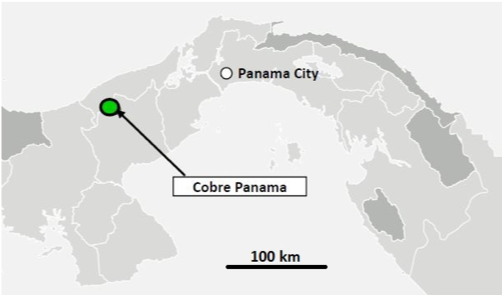 Figure 1: Location map for Cobre Panama project. The Cobre Panama deposits, outlined by their ultimate pit shells in Figure 2, are distributed over an area of ~10 x 5 km on the southern margin of a granodioritic batholith dated at 32 to 28 Ma (Hollings and Baker, 2013). Porphyry intrusions form a continuum from the batholithic composition to a feldspar-quartz-hornblende phase that contains slightly higher-grade copper mineralisation. Contemporaneous, fine-grained, weakly magnetic andesite flow units cover much of the area and variably host mineralisation, and barren, post-mineral andesite dikes cut the mineralised porphyries. Since exhumation of the system, a tropical saprolite profile up to 30 m thick has developed. This profile is incised in the drainage valleys, which provide the only rare glimpses of outcrop. The transition from saprolite to fresh rock occurs quite rapidly over a few metres of saprock, and is well mapped by a shallow airborne TEM survey. Alteration is mostly chlorite and chlorite-sericite overprinting potassic alteration. Disseminated chalcopyrite, pyrite and magnetite are abundant, but total sulphide concentration rarely surpasses 3% in significant volume. Early mineral assemblages are overprinted by phyllic alteration that includes white and green sericite and ubiquitous pyrite with variable silicification or quartz veining. Acid weathering of the pyrite, in highest concentration in and around the deposits, contributes to sericite alteration and increases near-surface conductivity. Figure 2: Surface geological map of Cobre Panama deposits with ultimate pit outlines in black. 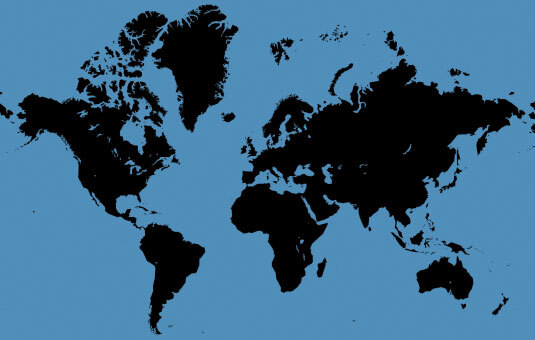 Balboa is furthest to the west and Botija is in the northeast. White lines indicate the location of cross section images. where depth is δS in metres, ρ is the bedrock resistivity (ohm-metres), and ƒ is the frequency of measurement (Hz). The 100 ohm.m resistivity value is a conservative underestimate for fresh rock that limits the skin depth. However, the low-power SkyTEM 302 system (peak moment of ~75,000 NIA) used for the EM survey detects the same conductivity anomalies in its mid-time as the ZTEM 90 Hz data (Figure 3, SkyTEM channel 20). The AEM data do not have much depth penetration in this tropical, weathered environment, suggesting the ZTEM results are considerably influenced by near-surface conductivity. EM sections inverted for depth of saprolite, however, indicate that a large proportion of the EM signal is coming from below the weathered layer. Figure 3: (left) 90Hz total phase rotation (TPR) and (right) 174 ms SkyTEM channel 20. Red (pink) is high amplitude due to high conductivity. Ultimate pit outlines are in black. Figure 4 shows a cross section through the middle of the Balboa deposit for AEM and ZTEM inversions. In the 1D, laterally constrained, layered-earth AEM inversion, the surface saprolite layer has been well resolved and ranges from 10-90 mS over its 30 m average thickness. There is clearly also a deeper conductive signature of up to 10 mS associated with the hypogene mineralisation, which is represented by the total sulphur isosurfaces. Some of the sulphur is in anhydrite as sulphate, so these total sulphur shells are a maximum estimate of sulphide mineralisation. Figure 4: Inverted conductivity along the Balboa section line drawn in Figure 2. Total sulphur is shown via isosurfaces for 2% (yellow) and 3% (orange). (Top) AEM 1D laterally constrained inversion, (middle) ZTEM 2D inversions sampled along the section, (bottom) ZTEM coarse 3D inversion. All images share the same colour scale. This mineralisation is dominantly chalcopyrite and pyrite, but rarely exceeding 2% Cpy or 3% Py over multi-metre intervals that could be detected via airborne EM. This suggests that the conductive signature is due to more than disseminated sulphides, and must be also derived from the larger sericite alteration envelope. The 2D and 3D ZTEM inversions in Figure 4 also reflect the correct geometry and depth of the bulk of the mineralisation. The 3D inversion is very coarse (250 m lateral grid cell size) and so may not be expected to return any detail in its geometry. The ZTEM does not appear to resolve or even detect the saprolite layer, which is not surprising given the skin depth through 30 mS saprolite at the highest frequency (720 Hz) is 100 m, over three times the average depth of saprolite. Legault et al. (2016) also showed through forward modelling that ZTEM is insensitive to a 30m-thick conductive surface layer. This observation, together with the apparent deposit response in the AEM, suggests that the ZTEM is responding entirely to mineralisation and phyllic alteration. Figure 5: North-section section through Botija deposit of (top) 1D inverted AEM conductivity and (bottom) 2D inverted ZTEM conductivity with sulphur shells at 1% (green) and 2% (yellow), together with total sulphur on drill holes. Initial correspondence between shallow AEM results and ostensibly deep ZTEM anomalies led to early scepticism about the depth penetration of ZTEM over the Cobre Panama porphyry deposits, especially in light of the conductive nature of the saprolite weathering profile. However, after inverting the AEM and mapping the thickness of conductive saprolite, it is apparent that large parts of the AEM responses originate well below weathering depths, and are geometrically related to the deposits. Forward modelling of ZTEM, and simple observations of 2D and 3D inverted results, show that ZTEM is insensitive to a saprolite profile up to 30 m thick over most of the project area. While the ZTEM anomalies are clearly mapping the mineralised porphyries, the low sulphide content of these deposits, and the fact that active source AEM is also showing responses, suggests that sericite alteration (as part of phyllic alteration) is an important contributor to the ZTEM response. Carlos Izarra and Geoffrey Plastow of Geotech Ltd performed numerous inversions of the Cobre Panama ZTEM data in 2D and 3D, at Geotech’s own cost, in the effort to better understand the results of the survey. Burge, C., 2014, A new porphyry copper deposit at Cobre Panama project: Presented at PDAC Prospectors and Developers Convention, Discoveries and Developments session, Toronto, Canada. Hollings, P., and Baker, M., 2013, Cobre Panama geochronology update: AMIRA project P1060, report to Minera Panama S. A., February 2013, 8 p (confidential). Holtham, E., and Oldenburg, D.W., 2010, Three-dimensional inversion of ZTEM data: Geophysical Journal International, 182, 168-182. Legault, J.M., Wijns, C., Izarra, C., and Plastow, G., 2016, The Balboa ZTEM Cu-Mo-Au porphyry discovery at Cobre Panama: ASEG-PESA-AIG 2016 25th Geophysical Conference and Exhibition, Adelaide, South Australia, Extended Abstracts. Vozoff, K., 1972, The magnetotelluric method in the exploration of sedimentary basins: Geophysics, 37, 98–141.